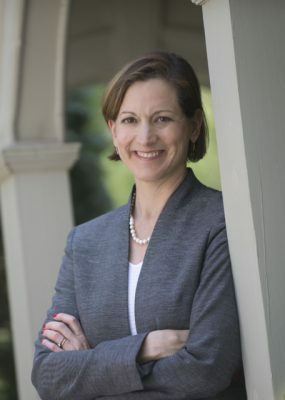 On Wednesday, Oct. 8, Anne Applebaum, winner of the Cundill Prize in Historical Literature, will deliver the annual Cundill Lecture, True Believers? The Nature of Collaboration and Opposition in Communist Regimes. Applebaum took the time to speak to the Reporter in advance of her visit to McGill. The Cundill Prize in Historical Literature, coordinated by the McGill Institute for the Study of Canada (MISC) on behalf of the Dean of Arts, is the world’s largest prize in historical non-fiction, at $75,000 U.S., with two runner-up prizes of $10,000 each. Each year, the previous year’s winner delivers the Cundill Lecture. 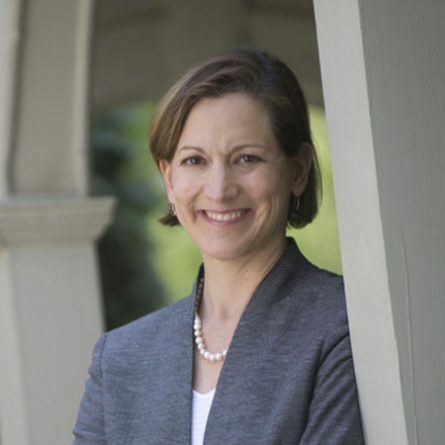 On Wednesday, Oct. 8, Cundill Winner Anne Applebaum (Iron Curtain: The Crushing of Eastern Europe, 1944 – 1956) will deliver the annual Cundill Lecture, True Believers? The Nature of Collaboration and Opposition in Communist Regimes. Applebaum took the time to speak to the Reporter in advance of her visit to McGill. It’s been a year since you won the Cundill Prize – what have you been up to? I’ve spent the past year evenly dividing my time between journalism, my book and the Legatum Institute, a London-based think-tank where I run a program on political transitions. But all three projects were heavily affected by the Russian invasion of Crimea and Eastern Ukraine: I put aside quite a few things in order to write about Ukraine. I had a sense of obligation: So few people in the West know any Ukrainian history, it seemed like it was up to me to explain the background to what was going on. Were the events we are witnessing in the Ukraine something that could have been predicted, based on the region’s history? Why or why not? The implication of the question is that a reading history somehow enables us to make accurate predictions, not least because that part of the world “won’t ever change.” In fact places do change: Poland has changed. Russia could change with a different leadership. A better way to make an accurate prediction would have been to listen to Vladimir Putin speak about Ukraine. He has been telling us, more or less for a decade, that he does not respect Ukrainian sovereignty and that he does not believe Ukraine has an existence separate from Russia. Now he is acting on those beliefs, in some sense unsuccessfully: contrary to what seems to have been his expectation, the Ukrainians did not rise up and demand to join Russia. But he is really doing exactly what he has long said he wanted to do. It’s just that people didn’t want to hear it. You are the second woman to win the Cundill Prize in its history, what specific advice do you have for emerging women writers? Do you think it is harder for women to attain your level of success as a writer, as in other fields. No, I don’t think it’s harder for women to be writers. The careers that are hard for women are those which require enormous sacrifices of time and difficult schedules, which in turn make it difficult to have small children: Writing, like other creative professions, allows for at least some flexibility. The only advice I have for women is not to stop working. The unhappiest people I know at the moment are the educated women who left their jobs to have children and now can’t get back into the work force at all. Your lecture is titled, True Believers? The Nature of Collaboration and Opposition in Communist Regimes – can you give our readers a sneak peak of what you’ll be discussing? The horrifying genius of Soviet communism was the system’s ability to get the silent majority in so many countries to play along without much protest. The communist system had obviously failed by 1989. But the lecture attempts to explain why, in 1950, it might have looked like a success. The Cundill Lecture takes place on Wednesday, Oct. 8, at 5 p.m. Leacock Building (855 Sherbrooke Street West), Room 232. This event is free and open to the public. To register, go here. To view this year’s shortlisted books, go here.